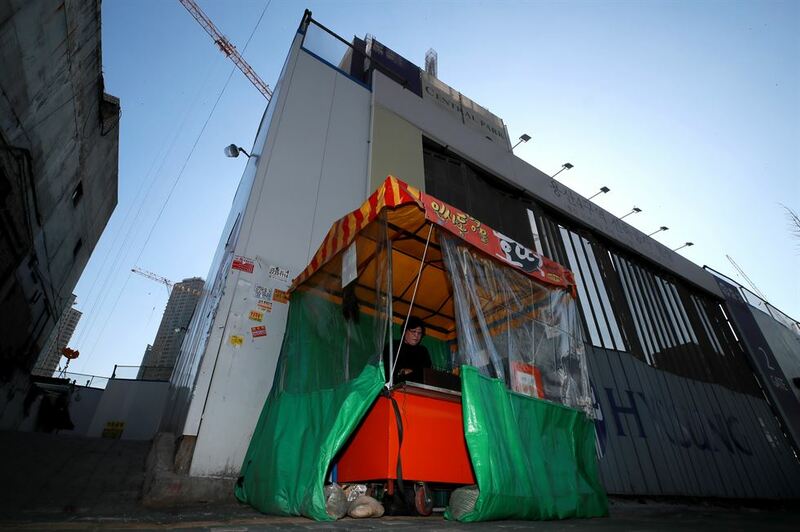 A decade ago, on Jan. 19, 2009, about 30 residents held a sit-in protest in a temporary four-story tower built on the top of a building in Yongsan demanding proper compensation after a decision to redevelop the area. In a pre-dawn attack by dozens of police commandos and privately hired security guards, the temporary building structure occupied by displaced tenants in Yongsan, central Seoul caught ablaze. The fire took the lives of five residents and one police officer, leaving more than 20 people injured. The incident was tragic but is typical of recent history where the country has been obsessed with speedy development. In South Korea, "yongyeok" or errand men, have been commonly mobilized to drive out remaining residents or company tenants from areas planned to be redeveloped under the city's approval. They raid protest sites without warning and frequently use violence to force evictions. Their frequent violence and following casualties have prompted many to label them "gangsters" or "hired goons." 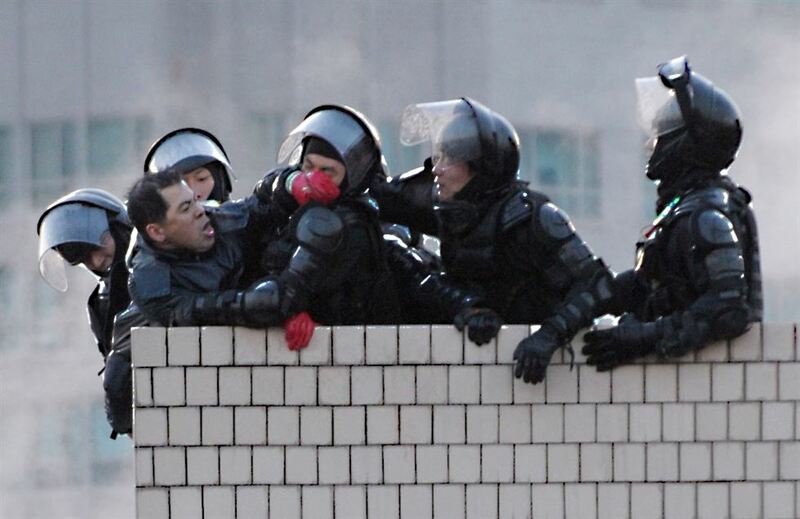 In the Yongsan incident, also called Yongsan Disaster, those errand men also played a role along with police officers. It is unknown exactly what helped ignite fire in the temporary building, as no fact-finding process has yet taken place in a decade. The government reversed its interpretation of the deadly incident after President Moon Jae-in took power. In March 2018, the prosecutor's fact-finding committee said it would launch an investigation into the incident while the Korean National Police Agency's fact-finding committee on human rights violations later concluded in September 2018 that "then police command has a responsibility for the incident as the police entered the scene without taking proper safety measures." However, sources say the prosecutor's committee stopped its investigation due to pressure by former investigators in the past administrations working on clearing the police of charges. Several reports say two outside investigators resigned from the pressure and there will be a possibility of disbanding the committee as it failed to meet the conditions as the committee requires a certain number of outsiders. Investigators at the Seoul Central Prosecutors' Office concluded that 20 protesters were guilty of obstruction of justice and they were put in jail for three to four years. Last year, they were pardoned under the Moon Jae-in administration. Prosecutors were suspected of having hastily concluded that the fire was caused by the protesters' mishandling of a large amount of paint thinner used in making Molotov cocktails. Some protesters, meanwhile, insist it was not thinners but a container of cenox ― a fuel additive stored on the second floor for a generator ― which fell after police pulled an iron beam from the temporary structure. The authorities also cleared the police of all criminal charges, saying they were not directly responsible for sparking the fire and that the mobilization of police commandos was legitimate. There are suspicions that the police first sparked the fight as it had decided to raid the scene two hours before the protesters started to fight back by hurling Molotov cocktails at police and contract workers. Kim Soo-jung, then an official at Seoul Metropolitan Police Agency, explained that, "The city was under terrorist attack by the evictees so the police had to suppress them." However, some say the situation was not as violent as described before the police became involved, as it was all too common for riot police to be deployed to such scenes. Kim Seok-ki, then head of the Seoul Metropolitan Police Agency, resigned from his post but and later became the consul general in Osaka in two years, and the president and CEO of the Korea Airports Corporation. He is now a lawmaker of the main opposition Liberty Korea Party (LKP). After the Yongsan incident, the government approved the revised enforcement decree on building demolition; a residential building cannot be forcefully evicted in wintertime, at night or during bad weather. However, family members of the five residents who were killed during the police operation, and survivors who were injured continue to raise their voices to ask for the punishment of the authorities, including Kim who made the decision to mobilize the police which led to the casualties, and government measures to prevent similar incidents from occurring. "Family victims of the Yongsan incident shed tears of blood every day for 10 years. Nothing has been proven," Kim Young-deok, widow of Yang Hoe-sung, said during a testimony session held by several lawmakers at the National Assembly, Tuesday. "It took 10 years but nothing has been disclosed. And evicted people are still driven out and dying," said Jun Jae-sook, widow of Lee Sang-min. "I hope a related law will be revised so evictees can live normal lives without being kicked out of their homes in the wintertime." Jun also asked Kim Seok-ki to quit as a lawmaker and take responsibility for what he did. "Kim Seok-ki who ordered to mobilize the government forces to suppress the protest is now working as a lawmaker. It is absurd. I am here to change the law that states people cannot get punished after killing because the statute of limitations has expired." They held a sit-in protest in front of Kim's office at the Assembly after they finished their testimony. Other survivors and evictees from other areas which were already demolished or are under reconstruction joined hands and continued to give their testimony at the National Assembly. Those were mostly self-employed workers in old Noryangjin Fisheries Wholesale Market, four districts in Cheongnyangni, Gungjung Jokbal restaurant in Seochon, Indeok Village in Wolgye, Ujangchangchang in Gangnam and Paris Baguette in Hyoja-dong. Lee Won-ho, a secretary general of the private organization Yongsan Coalition, an activist group to work on fact-finding for the Yongsan incident, called for the introduction of a law that bans forced eviction from the beginning. "So far, violence during the eviction process and human rights violations have been conducted legally under the protection of law. Now it is time to make a law to ban forced eviction," Lee said. "The law should stipulate the right of occupancy dwelling and right of relocation. During the reviewing of the reconstruction plan, a human rights assessment should be conducted which considers the people being displaced."